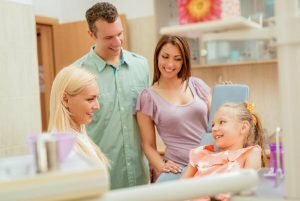 At Forster Dental Centre, patient comfort is one of our top priorities. We make certain that you are comfortable from the moment you step into our office. From the physical make up of the office down to the minute details of your visit, your comfort is always in mind. Our dental procedures are designed to facilitate quality without compromising comfort. Our team is trained to adjust to the unique needs of each patient. We accommodate all ages. Your trusted Forster Dental Centre dentist is with you every step of the way.